POLYTOUCH 32 PASSPORT . .
With the adoption of Android mobile devices in enterprises growing, the attraction of increased flexibility, customisation opportunities and reduced deployment costs have been widely appreciated by many businesses. But early enterprise adopters of Android handhelds and tablets are now also realising some of the long-term challenges surrounding the management and security of these devices. 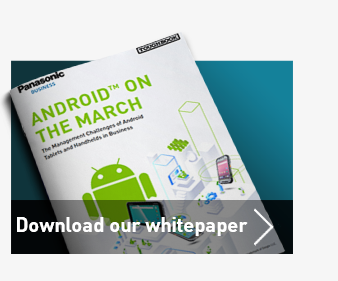 To better understand the challenges of working with Android tablets and handhelds in enterprises, click here for our whitepaper. Panasonic has an established track record as a trusted supplier of managed Android solutions. 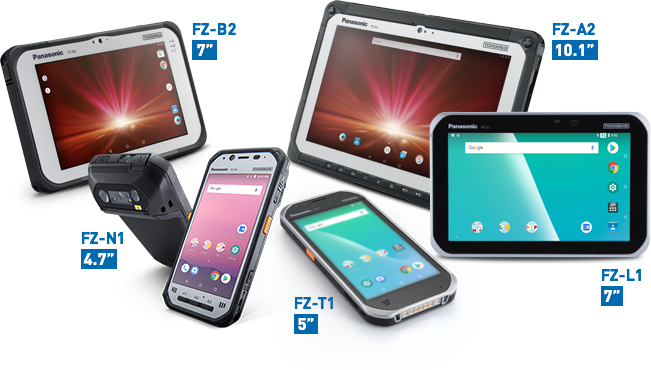 In fact, Panasonic COMPASS offers everything you need to configure, deploy and manage your Panasonic rugged Android tablets and handhelds securely in your business. It is designed to give you the confidence to take advantage of the flexibility offered by the Android operating system with the reassurance that Panasonic’s devices are business-ready for applications, management and security. Customise the Android operating system on your Panasonic device to suit your business requirements. Configuration and staging options as well as EMM and MDM certification and licensing for complete control. Over the Air firmware and software component update management services. Regular security patches and solutions to enhance device security and protect your data. Enterprise tools to ensure your devices are used specifically for the purposes they were intended. 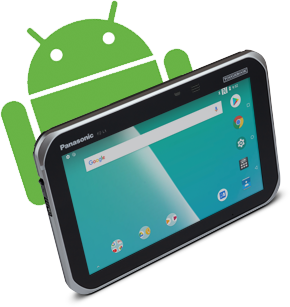 Panasonic TOUGHBOOK introduced its first Android for enterprise device in 2011 and currently offers a range of market-leading, Android rugged tablet and handheld devices to meet your mobile workforce requirements with a range of screen sizes to suit all needs. Copyright © 2019 Panasonic Marketing Europe.